of us still recommend the standard treatments. GNMS500B is a middlized alternative for the 500gpm capacity required projects. the solids squander to the end, not the inside, then we rearrange often the mud cleaner postion. Some sort of customization on a standard system. individual source-GN Solids Control Manufacturing. installment, and training up client engineers. Aquaria available for your options. choose to cooperate with our value. Control also provides considerate services both before-sales and after-sales. sales teams areserving in Poland and Nigeria. Baker Hughes, a well known oil service company. 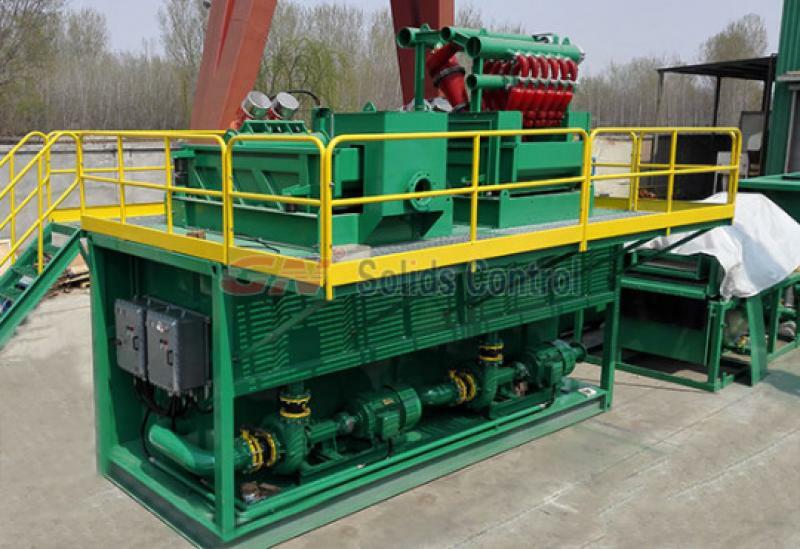 GN Solids Control is a company located in Beijing, which is 40 minutes drive from Beijing airport. In the year of 2013, GN Solids Control registered GN Solids America LLC in Houston which owns the warehouse of about 700,000 SF. During this two years fast development, GN is getting to known by more and more oil and gas companies in USA, Canada and Mexico. GN is keeping to attend the OTC since 2011, for the customers goes to the OTC will notice GN has two booth this year: one is for GN Solids Control Co., the other is for GN Solids America. Although GN Solids America is a very new company in USA, experienced GN engineers and manufactures in Beijing headquarter are spare no efforts to supporting the development of GN Solids America. 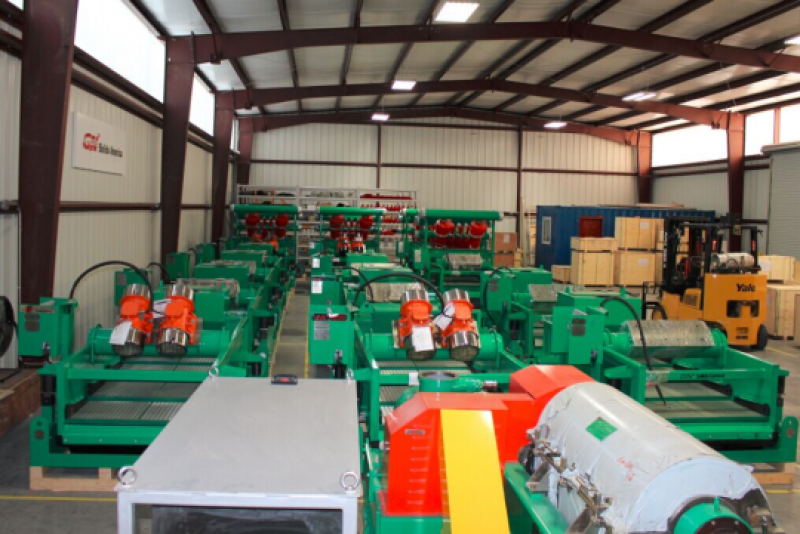 During these two years, GN has shipped many sets of shale shakers, mud cleaners, decanter centrifuges and cuttings dryers from Chinese factory to Houston warehouse. Some spare parts such as hydro cyclones, bearings, motors, shaker screens have been send here too. For clients we keep contact for long time cooperation, we make the storage plan for them. Whenever they need our solids control equipments, we can arrange the delivery immediately. All of the solids control equipments are storage step by step. Now GN has 3 sets of mud cleaners, 8 sets of shale shakers, 3 sets of decanter centrifuges as well as some other spare parts in our Houston warehouse. Welcome to have a look when you have time. Yesterday, we just send out one mini decanter centrifuge 223, screw pump and spare parts to our customer’s work site. And now we have one variable speed decanter centrifuge is rented working for OBM separation. For the American market, GN can provide our solids control equipments with rental service. Customers are welcomed to buy the machine after they do the testing working and satisfied with the working performance. If you are interested with our solids control equipments, please feel free to contact us at thomas@gnsolidcontrol.com. GN takes necessary measures for transporting protectionGN Solids Control has one branch company in Houston, TX. Some solids control equipments such as GN Shakers, GN mud cleaners and GN decanter centrifuges as well as some other spare parts such as GN shaker screens, GN mud guns, GN mud agitators are also stored.Experienced engineers have been sent to Houston branch for the after sales service and training work. 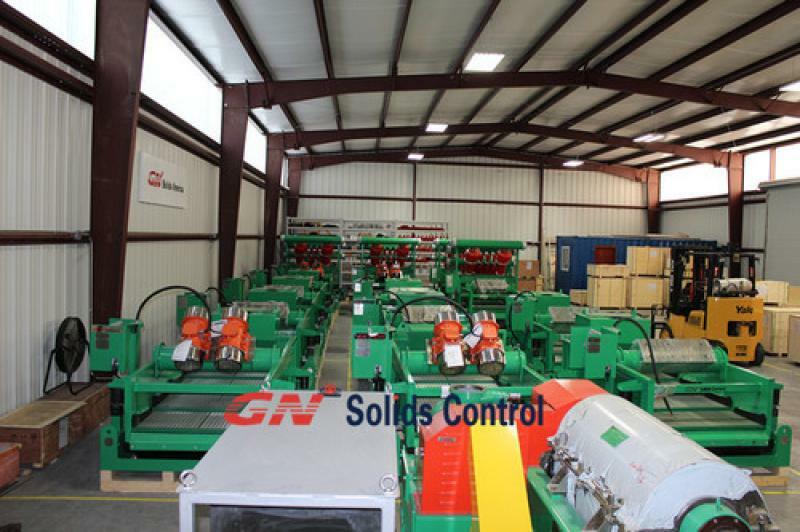 GN is trying to provide excellent after sales service in the America market.Now all the solids control equipments are manufactured in Chinese factory in advance, then they are shipped to Houston warehouse. In GN Solids America warehouse, GN engineers will do some assemble work and test running work, every equipment will be fully tested before they are transported to our clients’ worksite. As many parts are quite vulnerable in transporting without some protecting measures. The principle of GN solids control is providing the brand new equipments with best quality. So GN engineers will take some necessary measures to keep solids control equipments in a very good condition. Take GN decanter centrifuge as an example, due to the rotating bowl is quite heavy the two supporting bearings will be destroyed when its keep rotating on the way. So GN engineers will use two cloth belts to tighten the rotating bowl, and two steel bows are supporting the bowl and lighten the heavy load for the two bearings. The Cover of the decanter centrifuges will be locked with bolts before transport. In order to move the decanter centrifuge conveniently, GN engineers fixed it on a wooden pallet. Some parts will be fixed on the pallet such as discharging port. VFD control panel will be located on a wooden pallet just like the decanter centrifuge. Some other equipments such as shale shakers, they will be fixed tightly with large bolts in case they are vibrating during transporting.